The success of a clinic is in the detail and attention to detail is the driving force behind patient loyalty. “Clinic Marketing Tips” looks at the details in your clinic and how you can improve them. Here is an idea you can quickly implement to show your patients that they are in the right place for treatment. At my gym in Bishops Stortford, UK, they have a Success of the Month wall. Each month they display a case study. This is a picture of someone and a story of what going to the gym has done for them. Most of the case studies describe people who joined the gym and over the course of 9 months, lost 15kgs / got more confidence / did their first marathon etc. I find these stories really motivating. Without question seeing these stories each month reaffirm why I must keep going to the gym and why this gym (Challenge Active) is the place for me. The people are real and I have seen many of them in the gym. 1/ to show staff that they are valued, to motivate other staff members and to give positive encouragement to the team to aspire to success. 2/ to provide evidence to customers that this restaurant looks after its staff, that they are good … and therefore if the staff are good, their dining experience at the restaurant is going to be good too. Thinking about these two ideas, I applied the psychology drivers to the clinic business and created the Patient of the Month concept to display in waiting rooms. You treat someone successfully … let other people know you can help them too. Patients coming to your reception will be interested to read it and this will make a positive impression. Of course, patient stories are used in all aspects of raising the profile of a successful clinic. From a newsletter, to social media and more to give a powerful boost to your word of mouth and name recognition. If you want some free materials on how to improve your visibility, request our clinic ’12 x 12′ marketing blueprint. 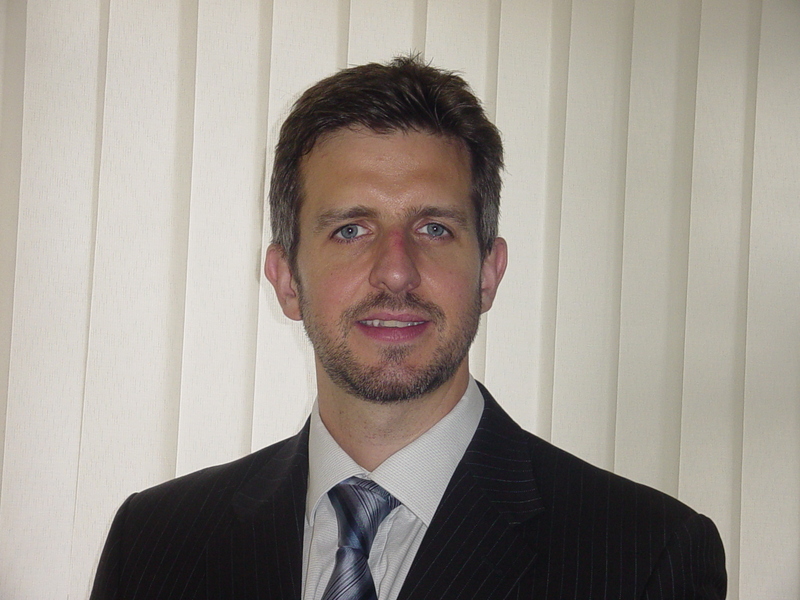 Osteopath Robert Shanks is the co-founding Clinical Director of Spine Plus, a group of multi-disciplinary back pain clinics based in London and Essex. He trained with The British Medical Acupuncture Society and is also a qualified electrotherapist. Robert’s area of special interest is chronic low back pain and neck pain associated with bulging or herniated discs. He is an advocate of innovation and technological advances in spinal care and uses IDD Therapy non-surgical spinal decompression to treat his chronic disc patients. I first became interested in mechanical spinal distraction in 2002 and I started using a home-made cervical traction device based on pioneering osteopath, Alan Stoddard’s model featured in a book from the 1950’s! Yes, it sounds a bit Wallace & Gromit but it did the job more effectively than using my hands alone. I then started using portable traction beds which featured a manual pump allowing for intermittent sustained traction. The object of these devices was of course, to distract the spine in order to take some pressure off the disc(s) and any pinched nerves. We used it as part of a standard 30 minute treatment session. Developments in spinal decompression have come a long way since those primitive traction devices. Indeed, traction per se created a divide amongst clinicians in its heyday: there were those like myself who found the tool a useful addition to manual therapy and there were others who saw too many shortcomings for it to be fully effective. One of the key shortcomings of traditional traction was the imprecise nature in which the treatment was applied, for example, the traction force was aimed non-specifically at the entire vertebrae and not at the particular segment we were trying to treat. Moreover, as the linear ‘pull’ was unnatural to the body, it could actually cause muscles to spasm, leading to an increase in pressure and pain! This meant that in order to ensure relative comfort for a patient, the treatment tended to be administered in short bursts of 10 to 15 minutes with a low traction force – which proved ineffective for many chronic conditions. Around 2008 I began hearing about Intervertebral Differential Dynamics (IDD) Therapy, a non-surgical spinal decompression treatment which appeared to address the failings of traction quite systematically. 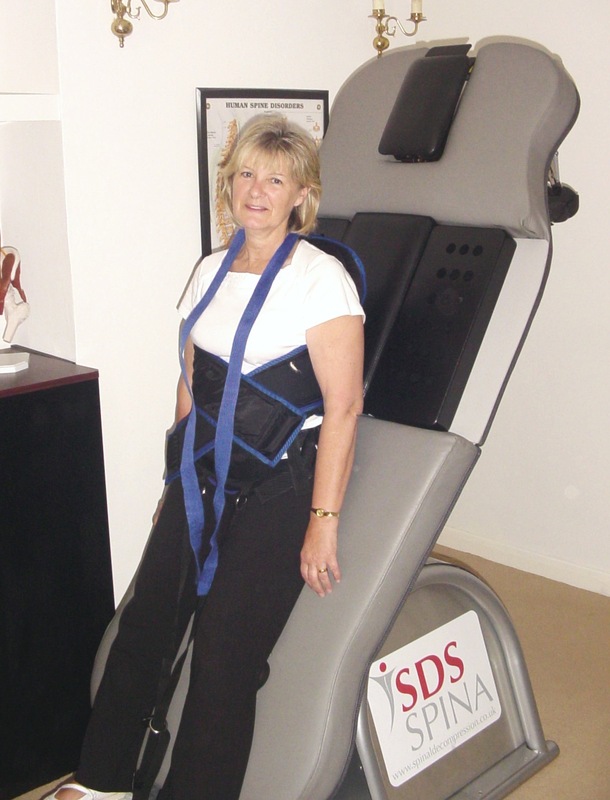 These sophisticated IDD treatment machines were developed in the US in the late Nineties by a team of engineers and clinicians whose aim was to mechanically decompress the disc by improving upon traditional traction methods. With modifications and revisions along the way and advances in computer technology, the team finally produced an FDA cleared class II decompression machine which, with computer-controlled forces directed at precise angles, was shown to distract targeted segments of the spine, e.g. L4/L5 from between 5 and 7mm – which had significant therapeutic implications. The decompression unit also included a unique oscillation feature capable of mobilising the joint at the point of maximum distraction – in much the same way as manual therapists mobilise other joints – but which given the strength of the spine, is difficult to do with the hands alone. Moreover, because the device used a gently progressing pulling force (sinusoidal waveform) which mimics the natural contraction mechanism of a muscle, the muscle remained relaxed and lengthened throughout the slow and consistent stretch without going into spasm. Thus patients could enjoy the necessary higher pulling forces for longer, whilst remaining completely relaxed. I read all of the clinical research papers on IDD Therapy but I was more interested to see the treatment in action and hear the experiences of clinicians in the UK who were already using it as part of a specialised rehabilitation programme for their herniated disc patients. The clinicians I spoke to viewed IDD Therapy as a structured programme with patients having a series of regular hourly treatments spread over a number of weeks. The sessions consisted of some heat therapy to warm up the target area followed by 25 minutes on the IDD machine. After the mechanical decompression, patients would have some cold therapy to prevent any temporary soreness caused by the soft tissues being worked in a new way. Corrective exercise was introduced gradually as the programme progressed to help achieve lasting success. I tried the treatment for myself on the latest IDD machine (the SDS Spina); I could really feel the differences which I’d heard and read about. I decided to introduce the treatment at one of my clinics in April 2011. In the last year the clinic has treated over a hundred patients with IDD Therapy. These have tended to be patients with herniated or prolapsed discs whose symptoms of chronic back pain, neck pain and sciatica had prevailed despite standard manual treatments. The clinical outcomes have been impressive: I would say that 70% of these patients have made good to excellent improvement. A typical patient is 63 year old Rita from Chigwell who achieved an exceptional outcome with IDD Therapy after suffering for four years with an L1/2 disc bulge which surgeons would not operate on. She had undergone countless manual treatments, facet joint injections and epidural injections without any lasting improvement. After a series of IDD treatments she became pain and spasm-free and was able to return to work and carry out her daily household chores again. Another patient had a considerable L4/5 disc bulge; after a programme of IDD Therapy the bulge had shrunk to less than a third of its size. Although I have used IDD Therapy to treat acute pain, most IDD candidates have been in pain for several months, even years and have tried one or more manual treatments and/or injections without success. For these patients, a programme of treatments spread over a number of weeks is necessary to achieve long lasting therapeutic changes to chronic conditions which have built up over time. When patients first come to me, some are in so much pain that they are physically and emotionally exhausted and fearful of making the slightest movement. Over the course of the IDD programme, we can help to change their outlook and expectations, setting them the realistic goal of becoming pain-free and being able to get back to their normal daily activities. We track all patients with research tools such as the Oswestry Disability Index, Visual Analogue Scale and other objective outcomes measures. IDD Therapy is an invaluable treatment tool to me. It has finally enabled me to offer something meaningful for disc patients which, in my experience, is preferable to surgery and more therapeutic than epidurals, nerve root blocks and facet joint injections. It’s hard to find a negative side to the treatment: an IDD session takes longer than a standard 30 minute manual treatment but we cannot cut elements of the session without having a detrimental effect on our treatment goals. By having IDD as a treatment tool to use alongside manual therapy, we are seeing more patients at the clinic and as our experience grows, we are better able to predict how to progress patients who of course, all have individual needs. Since introducing IDD we have been able to treat several lumbar-surgery candidates; I know of patients who have been booked in for an operation and have tried IDD as a last resort and are now pain-free and active again. Naturally, there are some patients who do not respond to treatment but generally speaking, my patients have had very good outcomes and from a personal perspective, it’s hugely satisfying to know that I have been able to do more for them. First Post – Free Marketing and Clinic Growth Materials from Steadfast Clinics. The Steadfast Blog was born today to share ideas and insights for clinics wishing to do more for their patients … and their own clinics. Like all things, there will be an evolution of articles and materials on this blog and we hope this will help you. In the meantime, here is a question: As a clinic owner, what is the number 1 thing which would make your life easier or better? CLINIC MARKETING: the 12 x 12 Clinic Marketing Map shows you how to construct a marketing mix in a systemised manner. This is the complete mix of short term tactics and how they contribute to a long term strategy. HOW TO GET REFERRALS: Most clinics want to get GP or consultant referrals but give up. This document explains why most tactics fail and what you need to do tactically as part of a strategy, to make you the go-to clinic. MARKETING TIPS: The idea that your website alone and word of mouth will take your next clinic to a higher level may be true, it just depends how long you have to wait! Start taking care of the detail and get some marketing tips and clinic management to get your clinic to the higher level … before the next Millenium! We have plenty more too! Simply go to www.steadfastclinics.co.uk now, tell us what you need and we will give you something of true value or complete the form below.